And it was very close to home. Originally from San Antonio, TX, Guerra is currently based in Quito, Ecuador, where he lives with his wife, journalist Ruxandra Guidi, and their daughter Camilla. Guerra studied anthropology at the University of Notre Dame but developed an interest in photography while he was in school. That he has done. Guerra has gone on to cover news stories for publications like the Wall Street Journal, Le Monde,, Bloomberg Businessweek, NPR and the BBC. He also collaborates with his wife, producing stories for print, radio, and the web under the name Fonografia Collective. “And then, of course, there is my project about my daughter Camila,” he says. The work earned Guerra a spot among the winners of the Latin American Fotografia 3 competition. Guerra works on the project whenever the family is together. One of the images selected by the LAF judges, for instance, was made in an apartment in Boulder, CO, during a year that Guerra spent as a Ted Scripps Fellow in Environmental Journalism at the University of Colorado. 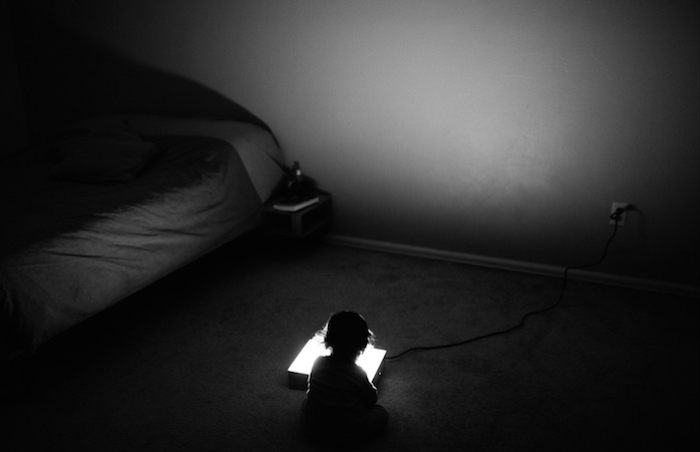 It features Camila looking with fascination at a light box. “One evening we put it in our dark bedroom, and she just sat down right in front of it, and I saw what I thought was a beautiful image.” says Guerra. 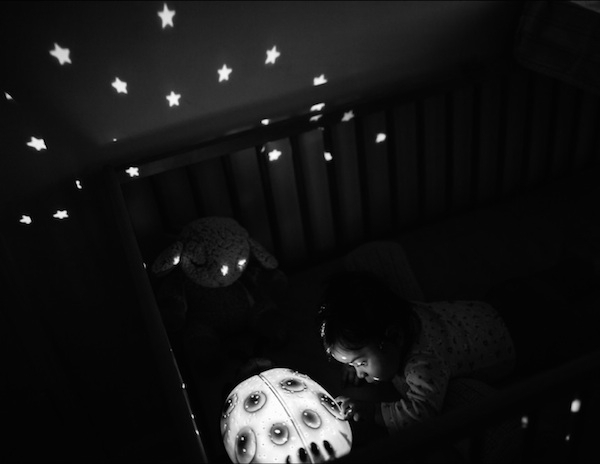 Another image, shot six months after she was born, shows Camila in her crib surrounded by illuminated stars projected overhead. “This was when she was still so little, and her eyesight was developing, so she would get captivated by things like this. I just walked in, saw that there was a potentially beautiful moment there, and then grabbed my camera,” says Guerra. The project is still going on — Guerra says he photographs Camila every day. “I’m hoping to capture something universal, something that not only other parents can appreciate, but all of us who were once children can too,” he says. “Sometimes I’m simply looking for visually beautiful moments, but I’m also trying to capture the inner life of the child, moments of exploration and discovery, innocence, happiness, sadness and wonder.